So many Spanish podcasts, so little time! Which ones should you be listening to? With so many good Spanish podcasts, it can be a bit overwhelming to choose the right one for you. We’ve provided an overview of nine great ones, and provided some in-depth descriptions so that you can review and pick ones that suit your needs and tastes. Why Listen to Spanish Podcasts? 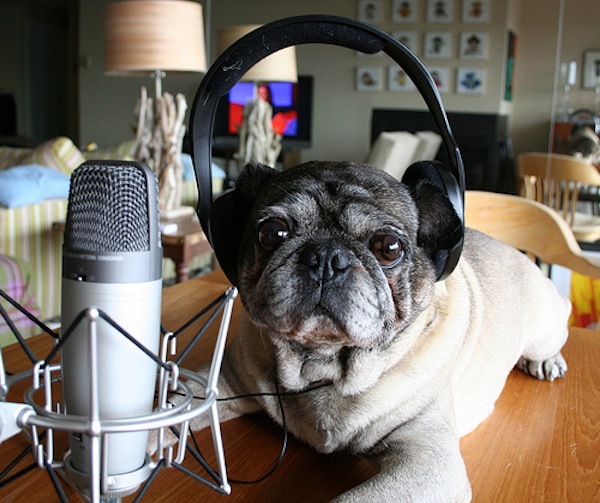 In case you’ve been living under a rock, podcasts are awesome. Spanish podcasts are perfect if you want to learn Spanish, but don’t have a Spanish-speaking person who can chat with you 24/7 in their native tongue. Picking up textbooks and flashcards is a good start, but they are not going to get you conversing freely and naturally. You need to get your head out of your textbook and start hearing real Spanish, the kind that is spoken by millions of people all over the world. One of the most effective ways of doing all this is with Spanish podcasts. They can really help you to hone your listening and speaking skills. What’s more, they put the fun back into learning because you can listen to audio anywhere. You can sit at your desk and listen to them online or you can download them to your smartphone. That way you can listen any place any time. Perhaps when you’re walking the dog, jogging round the neighbourhood or standing in the shower – assuming your digital device is waterproof! 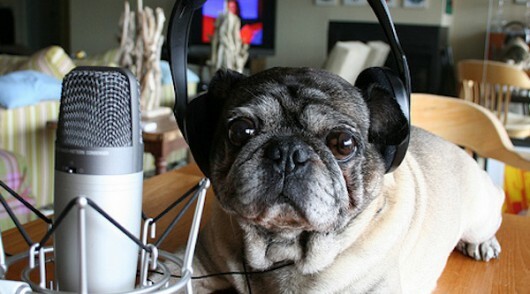 So without further ado, here are 9 really great podcasts for your learning and listening pleasure. Audiria is fresh, fun and fabulous. This lively and engaging podcast series for all levels of Spanish language learners was conceived by two Malaga-based brothers as a non-profit enterprise. 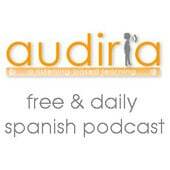 Their aim is to promote the Spanish language and culture and all the podcasts are free. Audiria is a rich source of material and when we say rich we really mean it. There is a new Spanish podcast every single day! Each one is tagged on the basis of language complexity so the student can know whether it’s suitable for their current level. The podcasts are in Spanish and cover a large variety of real-life situations. Nothing sounds artificial or staged, and the learning is supported by exercises and other resources. 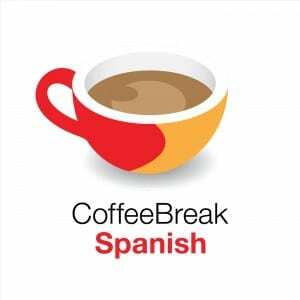 One of the big leaders of the Spanish language podcast field is Coffee Break Spanish. This award-winning language course has a large legion of followers and is aimed squarely at beginners and intermediates. It features 80 fun lessons of 15-20 minutes each. Your hosts for these conversational classes are Mark, an experienced language teacher, and his student Kara – so there’s someone sitting in the learner seat right by you. Both are Scottish, but their accents are good. Each podcast is themed with topics such as finding your way around town and ordering a coffee. And there are lots of opportunities to repeat the phrases. 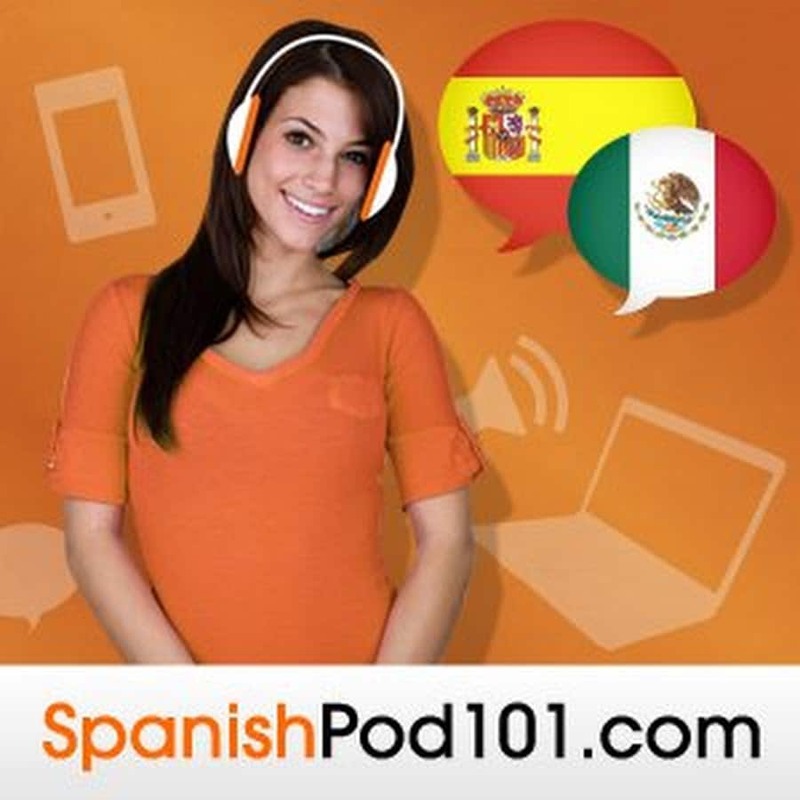 One of the really neat things about SpanishPod101 is that you are learning the language from a host of native speakers from different parts of the Spanish-speaking world, including Peru, Costa Rica and Mexico. This helps you to learn about the way the language is spoken in different regions you may be traveling to or are interested in. The episodes are upbeat and enjoyable with the language spoken at normal speed. The dialogues are repeated several times and a wealth of supporting material is provided. 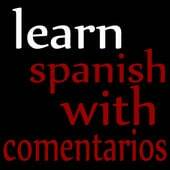 SpanishPod101 has lessons for beginners all the way up to advanced Spanish language speakers. Sign up for free! Spanish Obsessed offers excellent language-learning programs by a real-life couple who are Spanish speakers. Rob is from London and Liz hails from Colombia, and they have put a lot of thought and charm into their work. Both sound like they are really enjoying the lessons. The podcasts are for beginners, intermediates and advanced speakers and use conversational Spanish, the type you will hear on the street and in the shops and bars, not in the classroom. Language Trek is an educational software program primarily designed for school students, but it’s suitable for any Spanish language beginner. Your hosts are Johnny Spanish and Christina, who both have colorful, engaging and infectious personalities. The podcasts breeze along at a good pace, but not so fast that you get lost. Throughout the podcasts the listener is invited and encouraged to repeat words and phrases out loud. The lessons typically last for about ten minutes and each one is divided into bite-sized chunks. Covered topics include: saying what you do for a living, asking and saying what language you speak, and expressing how you are doing. The first thing that grabs you when you listen to these comprehensive Spanish podcasts is the lively music. After the intro it’s a full immersion into the language for beginners, intermediates and advanced speakers. The lessons are quite formal in structure and there are helpful explanations of the many different grammar rules. If you listen online there is a treasure chest of supporting educational material, including mini-quizzes and oral exercises. Just about everything is covered in the entire series. 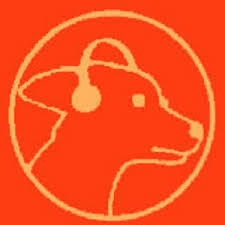 When you listen to Spanish.org’s podcasts it feels like you are eavesdropping on a genuine conversation between friends. The dialogues are spoken at normal speed, and as the website says, this is “natural conversations real Spanish”. The trick is obviously to try and understand as much about what is being said as possible. But don’t worry if any or indeed most of it sounds alien to you. Each podcast is accompanied by a transcript, worksheet, answers and vocabulary tasks. Once you have a worked through those, go back and listen to the podcast again. All should be clear now. A lot of thought and effort has gone into making these Spanish podcasts as stimulating as possible since the conversations cover a broad range of subjects. For example, there are podcasts on how social networking has changed the way we relate to each other, neighborhood services and a trip to the zoo. 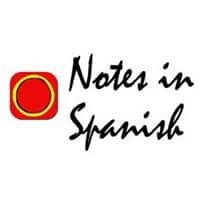 Notes in Spanish is made by a husband and wife team based in Madrid. Ben is from England and Marina is a Madrileña, and together they offer the next best thing to full immersion. That’s because they use real conversational phrases to talk about real life happenings. The podcasts are accompanied by worksheets and each program starts with a recap of the previous edition. There are editions for beginners, intermediates and advanced Spanish language learners. The dynamic language duo must be doing something right, as they have built up a large following. There have been more than 14 million worldwide downloads of their Spanish audio since 2005. Examples of content: A Grandmother Explains Twitter, HBO’s The Pelayos, Your Emotions Are Contagious, Man and Science: From Myth to Reason, Antonio Bandera’s Favorite Word, Three Tips for Public Speaking, Frida Kahlo’s Daily Routine. OK, so actually FluentU isn’t a regular Spanish podcast – it’s actually a learning platform where you can learn new words through real live videos and Spanish audio dialogues, check out annotated definitions, add new words to your own personal vocabulary lists, and much more! In a nutshell, FluentU has a big library of videos and short audio dialogues that cover a variety of situations. While the dialogues aren’t as long, they can be very topic specific, which is great if you’re learning Spanish topic by topic. 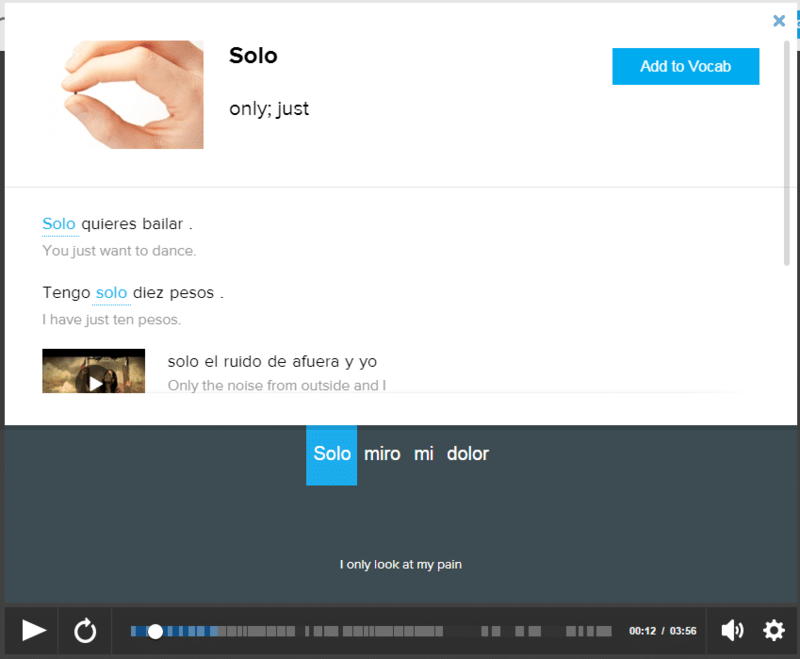 The great thing about these audio dialogues is that they cover a range of levels – from complete Newbie, all the way to Native if you’ve been around Spanish for a while, so you don’t have to feel left out whether you’re a novice looking for easy audios, or you’re approaching native level and just looking for audios to brush up your listening skills! What makes FluentU unique is the platform’s design. Within every video or audio dialogue, there’s a full dialogue and vocabulary section covering the main vocabulary and grammar points. And if you go into the audio lesson, the audio will start playing, but alongside the audio track, there are interactive subtitles you can engage with. You can hover over the subtitles, which effectively pauses the audio and zooms in on a word definition, and if you click on the word, it’ll pull up extended examples, saving you the trouble from checking up every word in the dictionary! Not to mention you can add these words to your custom vocabulary list if you want to, helping you keep track of what you learned in each lesson! Within each lesson, there’s also a Learn feature. It’s sort of like vocabulary flashcards for you to review all the words you’ve learned up until now. What’s unique about this is that for each word that shows, multiple clips where that word is used are also showed below. You can select any of these clips and they’ll play just the section containing that word. So if you’re looking to learn vocabulary through context and actual examples, FluentU might be a good choice for you! Start using FluentU on the website with your computer or tablet or, better yet, download the FluentU app from the iTunes or Play store. How to download free native-spoken podcasts & MP3s in almost any language: In case you’re an intermediate or advanced Spanish learner, then here’s a tip for quickly accessing a ton of native language Spanish podcasts. 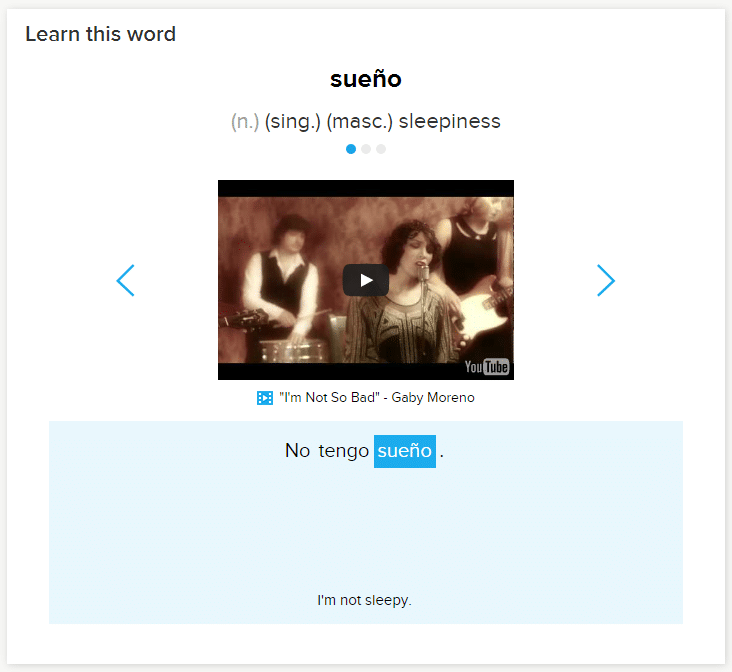 60 (More) Insanely Useful Resources To Get You Learning, Reading, Writing and Speaking Spanish Right Now!!! : There are some additional Spanish podcasts here that we didn’t mention. 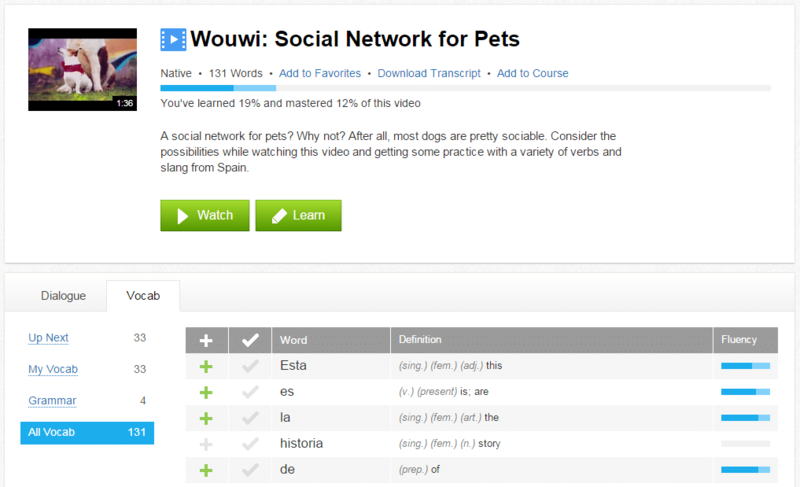 Also, many other useful resources for learning Spanish.